An extra £22,000 a year to help support communities to run library buildings, and a commitment to retain nineteen Somerset County Council libraries was approved yesterday. 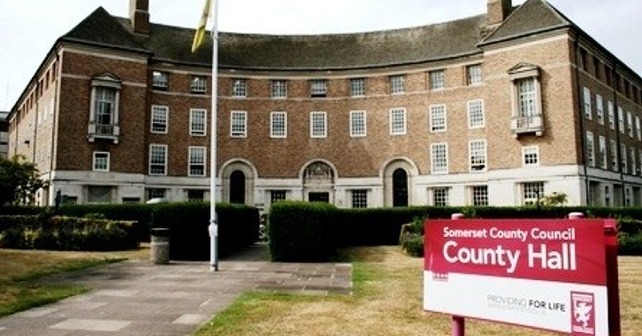 Somerset County Council’s Cabinet made the final decision on how libraries services will be delivered across Somerset in future agreeing nineteen library buildings will be retained by the County Council. For the remaining fifteen, communities are invited to submit expressions of interest by 15 November to set up Community Library Partnerships (CLPs). An additional £154,000 over seven years was approved today to help support CLPs and communities who step forward to run library buildings themselves. If these can’t be established, library buildings will close and libraries services will be provided in other ways (such as mobile or outreach) from as early as January next year. Councillor David Hall, lead Cabinet Member for Libraries, started today’s Cabinet meeting by setting out the libraries service redesign vision to his fellow Cabinet Members, emphasising the need to modernise the service whilst putting it on a sustainable financial footing. Cllr Hall then asked his fellow Members to consider the need for libraries services within communities, the County Council’s legal requirements, the views of the public expressed through the consultation and the funding available. He concluded by paying tribute to everyone who responded to the consultation, Friends of Somerset Libraries and the many library friend groups, and the frontline libraries staff who are so clearly valued by the Council and customers across Somerset. Before making their decision, Cabinet heard a presentation setting out the results from the libraries consultation which ran earlier this year, community needs and access to libraries services analysis as well as equalities impact assessments. They also heard and responded to many questions and statements from Members present and from the Chair of Friends of Somerset Libraries (FoSL), Watchet Library Friends and Unite. Cabinet unanimously approved the Somerset’s Libraries Service redesign programme, which will now be implemented – with new services in place from as early as January next year. Cabinet also agreed to investigate an alternative location for Shepton Mallet’s library, reduce costs in Cheddar, Martock, Langport and Ilminster libraries (through implementing new technology, sharing space with partners and generating income), a management restructure and develop an approach for donations and philanthropic giving. For further information as the libraries redesign programme progresses, please click http://somersetlibraries.co.uk/redesign/, contact Somerset Direct on 0300 123 224 or visit a library. Young people invited to have their say!